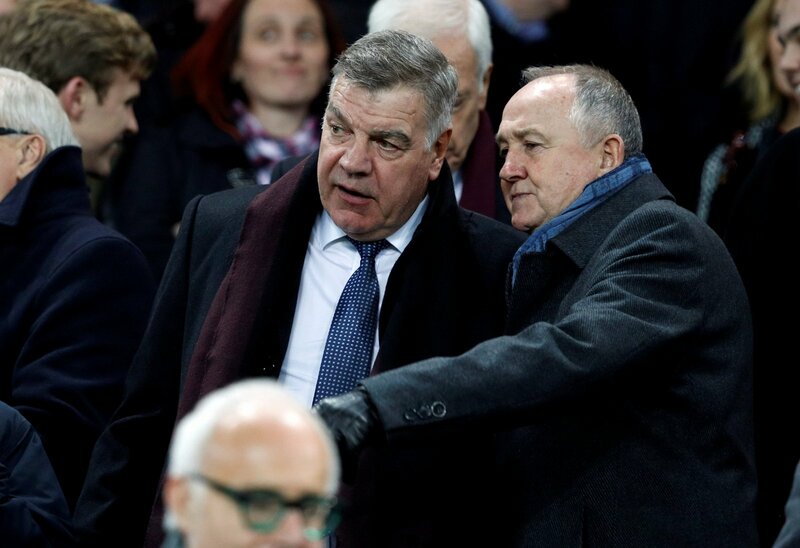 Everton director of football Steve Walsh has come under fire from the Goodison Park faithful and certain parts of the media for the Toffees’ success – or lack of – this season having spent a huge amount of money across the previous two transfer windows. Following his success as a scout with Leicester City – where he discovered the likes of Riyad Mahrez, Jamie Vardy and N’Golo Kante who went on to help the Foxes incredibly win the Premier League title in 2016 – Walsh was handed a new senior role with the Merseyside outfit as new owner Farhad Moshiri aimed to lead the club to challenge for the Champions League spots in the English top flight. He certainly got off to a positive start in the summer of 2016 with the addition of the experienced Ashley Williams at the back, the impressive Idrissa Gueye in the middle of the park as well as Yannick Bolasie from Crystal Palace and highly-rated youngster Dominic Calvert-Lewin from Sheffield United. Gueye was brought in for £7.1m from Aston Villa and quickly went on to become one of the bargains of the season due to how effective he proved to be in the centre for Everton, and was a leading figure in terms of successful tackles and interceptions in the whole top flight. Morgan Schneiderlin followed Gueye to Goodison Park from Manchester United in January 2017, along with teenager Ademola Lookman from Charlton Athletic, and the pair were two more that went on to make something of a big impression in the second-half of the campaign, with the latter scoring on his debut in the 4-0 victory against Manchester City. Things started to go wrong for Walsh and Everton last summer, even though their business looked to be really positive on paper. While they lost top goalscorer Romelu Lukaku to Manchester United, they spent almost £150m to bring players like Wayne Rooney, Jordan Pickford, Michael Keane, Davy Klaassen, Gylfi Sigurdsson, Nikola Vlasic and Sandro Ramirez to Merseyside. The failure to sign a direct replacement for Lukaku quickly became a big problem for Ronald Koeman at the start of the current campaign, and combined with some of his new boys – Klaassen and Ramirez in particular – struggling to adapt to life in the Premier League and Sigurdsson failing to reproduce the form he did for Swansea despite being the Toffees’ club-record signing, the Dutchman was shown the door in October. While Pickford has always been a consistent performer between the sticks and can undoubtedly be Everton’s number one for years to come, Sigurdsson, Rooney and Keane are among those that are showing signs of improvement since Sam Allardyce took charge in November, although Ramirez has returned on loan to Spain and Klaassen continues to be excluded from matchday squads, while Allardyce’s side have suffered heavy 4-0 and 5-1 defeats against Tottenham Hotspur and Arsenal already in 2018. The Toffees’ flirt with the relegation zone meant that they were forced into the transfer market again last month, where they spent £27m on Cenk Tosun from Besiktas and £20m to bring Theo Walcott in from the Gunners. While the former looks as though he will take a little while to acclimatise to life on Merseyside, Walcott has hit the ground running and already struck up an impressive partnership with Seamus Coleman on the right-hand side when the duo have played together. The winger assisted his new side’s goal in their 1-1 draw against West Bromwich Albion last month while he netted both in the 2-1 win against Leicester City at Goodison Park on January 31. The England international is a good character and the sort of player that can go on to be a talisman for the Merseyside outfit in what they are trying to achieve in the future, and his quality and experience could prove to be priceless. With the 28-year-old already coming good and some of the other summer additions improving in recent weeks, perhaps Everton’s transfer strategy isn’t as flawed as some would have you believe, and the team is actually in a good position to progress next season, with or without Allardyce.